2 oz. 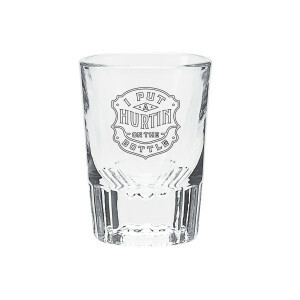 clear shot glass featuring "I Put A Hurtin' On The Bottle" text on one side. 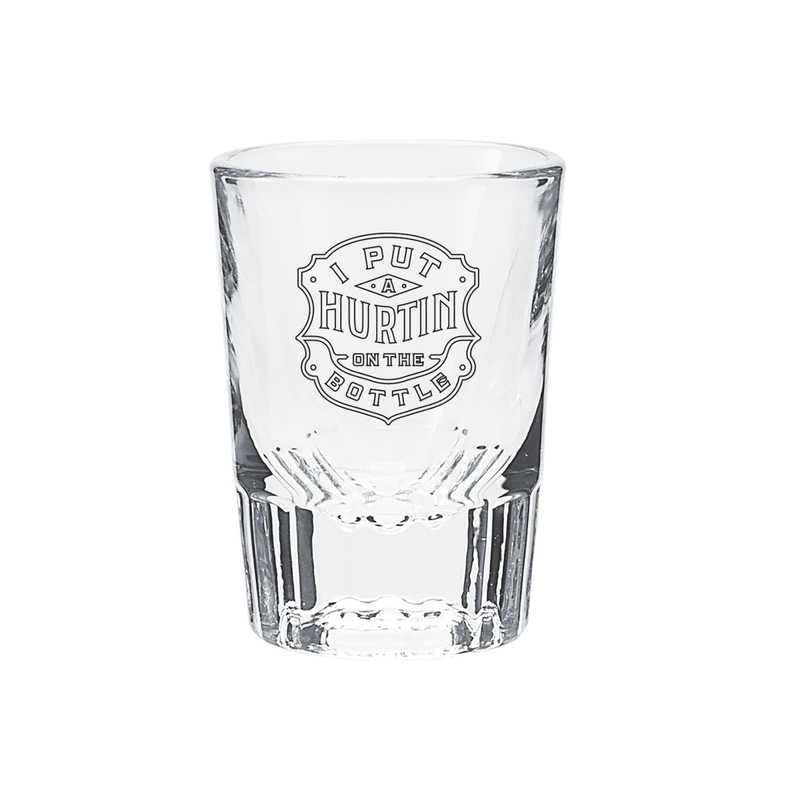 A heavy weight shot glass to help Put A Hurtin’ On The Bottle of your choice. These are some of the best and heaviest shot glasses I've encountered. And I've encountered quite a few over a half-century of searching?? ! :-) I've ordered 4 more. Great quality!